The latest Starbucks Mobile App for iPhone is now available with new My Starbucks barista feature. My Starbucks barista feature with new virtual barista AI will let customers order drinks with voice commands. Additionally, users can also send text messages to the AI for orders. 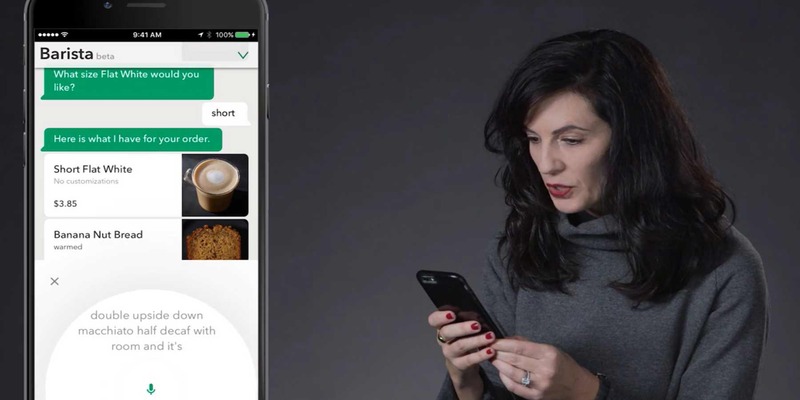 The app is launching in beta for a small portion of users of the Starbucks iOS app. The feature will roll out to everyone slowly over the year. The company noted that the new feature is an extension of the app’s Mobile Order & Pay service that already lets users order and pay before arriving. My Starbucks barista, is powered by groundbreaking Artificial Intelligence (AI) for the Starbucks Mobile App. The integration of the feature within the mobile app allows customers to order and pay for their food and beverage items, simply by using their voice. The messaging interface allows customers to speak or text just as if they were talking to a barista in-store, including modifying their beverage to meet their personal preference. The company also announced that now you can order over Alexa-enabled devices with voice commands.